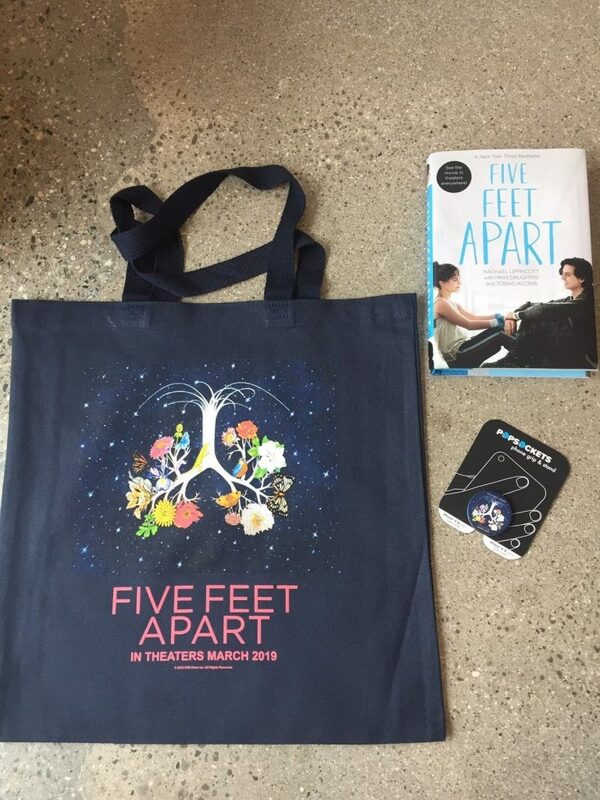 Five Feet Apart is the romance of the season! Go to the theater, get your popcorn, blanket and settle in for this great new romantic film! In Theaters March 15, 2019! Five Feet Apart looks to be one of the best romantic films thus far this year! I, for one, am super psyched to watch it! Definitely grabbing my bestie and heading to the theater on opening night! I can’t wait! This film is based on the book of the same name (Five Feet Apart) and I somehow missed it. Don’t worry though, I’ll be reading the book soon too! It stinks that books don’t get the notariety they deserve these days! Her life is full of routines, boundaries and self-control–all of which is put to the test when she meets an impossibly charming fellow patient named Will Newman (Cole Sprouse). Further complicating matters is Will’s potentially dangerous rebellion against his ongoing medical treatment. Stella gradually inspires Will to live life to the fullest, but can she ultimately save the person she loves when even a single touch is off limits? I like the trailer. Looks like a heartwarming movie! I would love to watch with my daughter. I’m super excited for this movie! I’ve been seeing the trailer and love it. It looks like it’s going to be really good! It looks like something my daughter would like. We’re always looking for new movies. I like that this is a movie the whole family can watch. It so nice to see a movie that stars teens that shows them in a positive light. my daughter and I would love this movie, we love watching these types of movies together. Not to mention Cole Sprouse is one of her fave actors! I have seen the advertisement on TV for this movie and it looks like a tear jerker for sure 🙂 which are great once in a while. I would love to read the book first!! I’m super excited for the cast! I also love the romance plot of the movie, too.